Misti Volcano dominates the horizon near Arequipa, and its cliffs and canyons were formed by water erosion and glacial movement across the millennia. It is a very popular location with climbers from all over the world. Our particular destination, Calambucos, is located on the ascent to the volcano crater and contains fascinating rock formations. The site contains numerous walls of various sizes and difficulties. 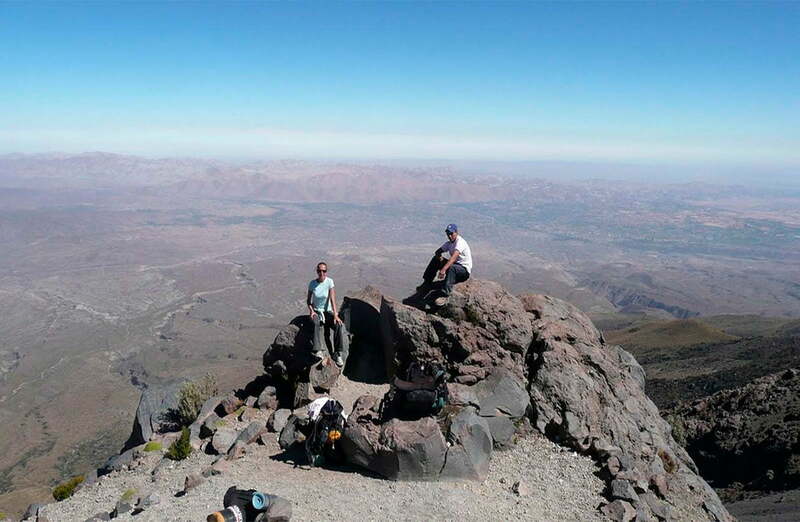 Transfers to the climbing site, just outside Arequipa, are available at 8 am or 1 pm. A 30-minute walk will take us to the climbing surfaces, where safety and technique instructions will be provided. After 4 or 5 hours of rock climbing you will be provided with transport back to your hotel.